This is a repost of a previous entry. The Zumbathon is this Sunday. 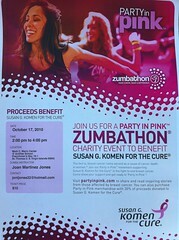 So if you're on island and want to contribute to the Susan G Komen for the Cure, then come join us for Zumba! If you're on island October 17th, then you should come Zumba for a good cause. 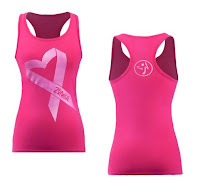 All proceeds benefit the Susan G. Komen for the Cure. There will be several Zumba instructors on island leading a two hour Zumbathon. It'll be a lot of fun for a good cause.